Illustration SAL 3 From top left clock wise: Wrightson Frankenstein by Sandy, H.R. 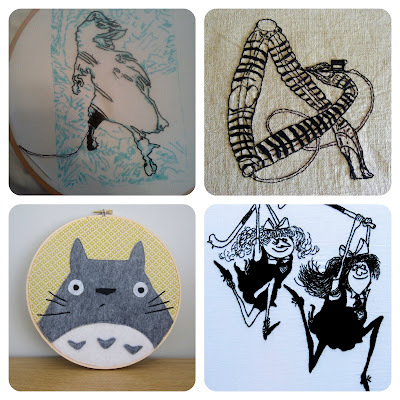 Giger illustration by PixieFey, Totoro hoop by Rebecca and St Trinian's by Meredith. See the whole gallery here which includes photos I couldn't use here due to copyright. Another fun challenge is up on the &Stitches blog! Last Thursday I announced our Back to School Stitching Competition there. A fun theme and fab prizes by Penguin & Fish, Lucky Jackson and Septemberhouse! There is still plenty of time to enter as the contest closes the 15th of October. 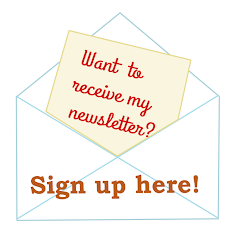 Check further details here.